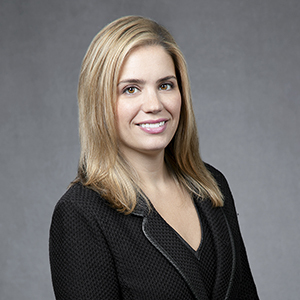 Nicole Bouchard is a partner in the Tax Group at Brown Rudnick. Nicole's practice encompasses general tax planning issues including corporate, partnership, real estate, private equity, hedge fund, and international taxation. Nicole advises her clients on domestic and international mergers and acquisitions, complex financings, cross-border investments, aircraft finance transactions, and tax controversy matters. She works with a variety of specialized entities such as tax-exempt organizations and REITs and provides pro bono representation to several nonprofit organizations. Additionally, Nicole participates in the representation of creditors, debtors, and investors to restructure, acquire, and sell financially troubled entities inside and outside of Chapter 11 bankruptcy proceedings. Prior to rejoining Brown Rudnick, Nicole was a Senior Counsel at MetLife where she primarily engaged in tax planning related the company’s alternative investment portfolio. Nicole also provided tax advice with respect to the company’s third-party asset management platform and tax issues specific to insurance companies.